Liz Crow and Paul Sharp joined forces in the summer of 2016 to form their inaugural pinhook venture: Crow-Sharp Pinhook Venture. 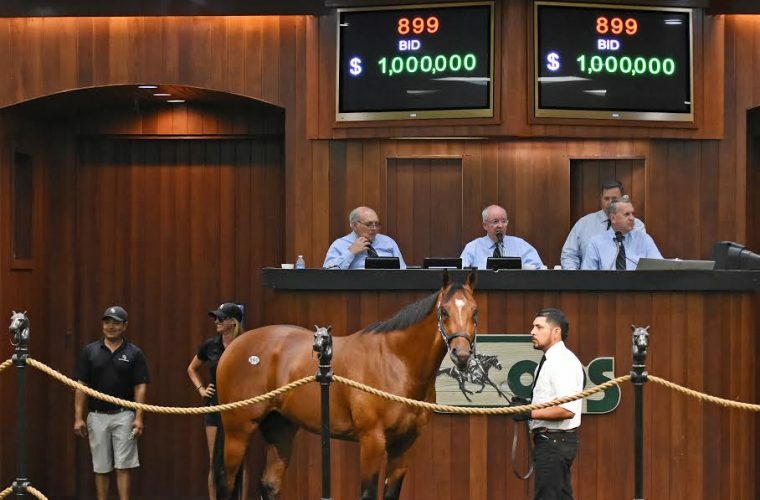 This inaugural venture resulted in a 103% return on investment and included the sale of a $1,000,000 colt by Union Rags that was bought for $60,000 as a yearling at Keeneland September. They also sold horses for $85,000, $100,000, $200,000, and $265,000 all of which more than doubled their purchase prices. This success was no accident or beginners luck. Paul Sharp has been involved in the Thoroughbred industry since 1976 and, after 20 years of being a farrier and pinhooking on the side, Paul decided to make breaking and training his focus in 2001. He has had tremendous success led by Canadian Horse of the Year and Breeders Cup Juvenile Turf Winner Catch A Glimpse and had no less than five Breeders Cup pre-entrants in the 2015 that were graduates of his program. Liz Crow learned the pinhooking game from some of the best to do it in Eddie Woods and Pete Bradley selling top horses such as G1 winners Lady Eli, V.E. Day, Klimt, and Moanin.